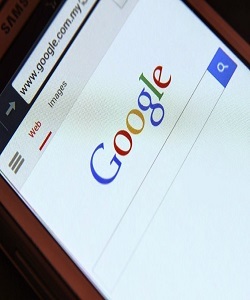 According to this latest search algorithm update from Google, it will offer better rankings to websites which are mobile friendly as compared to the sites which aren’t. So if your site or blog isn’t mobile-friendly, you should get your web designer to make the necessary changes so that it renders properly on mobile phones and tablets. According to Google, the update is being rolled out at a gradual pace. It will take some time before it is fully rolled out and all the sites are affected based on their mobile-friendliness. How to Know your Site is Mobile Friendly? 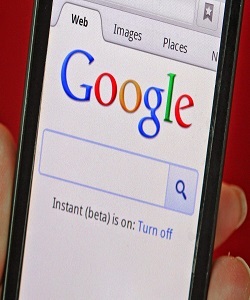 Google provides an online tool to help you learn if your site is already mobile friendly or not. You can check your site by entering the URL available on the Mobile-Friendly Test page. Enter your site’s URL and click “Analyze” and you will know whether your site meets its conditions for mobile friendliness or not. There’s no percentage level to the degree of mobile friendliness, but your site will either be friendly or not. Not use applications like Flash that don’t render properly on most mobile devices. Size all the content on the web pages on any screen size without the need for horizontal screening. Have textual content that can be read without the need to zoom. Place all the links at adequate distance so that mobile users can easily tap the required link. Because the search algorithm update is still rolling out, Google or any online search metrics sites haven’t been able to reveal a consolidated report yet. Google claims that it hasn’t reindexed all the pages yet. At the same time many websites have become MF leading up to the deadline for mobilegeddon. This could reduce the percentage of sites affected by the new changes. Some online tracking sites and webmasters have however reported that they have noticed some changes in mobile search results. How to Optimize your Site for Mobilegeddon? You can begin by removing all these shortcomings and implanting the guidelines mentioned in the Google mobile SEO page. Even if your site hasn’t been affected by mobilegeddon yet, its time you checked your site for mobile-friendliness and update it with the required changes.